Never let it be said that things were in any way easy on the American frontier. There’s seldom been a credible piece of fiction which depicts pioneers as having lived lives of anything but hardship and toil; when one adds a measure of religious persecution to the mix, things go from being taxing to miserable. 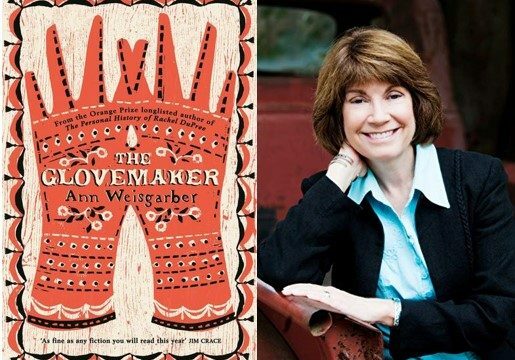 That’s the central conceit of Ann Weisgarber’s third novel The Glovemaker, wherein a woman tends to her home in Utah as her husband is away. The pair are Mormons, and in early 1888, them folks aren’t taken too kindly to by the hardworkin’, God-fearin’ citizens of the territory. Weisgarber’s central protagonist is deeply pious, devoted to faith and husband as is humanly possible, and is someone for whom faith is often, sorely tested. The scenes depicted in this novel of thorough, fastidious historic research show a woman representing many on the frontier, plagued by the harshness of their surrounds and seeking little more than peace and quiet in the face of unrelenting religious persecution. Throw a lingering uncertainty of her husband’s fate, the harshness of the climate and the interloping characters who find their way into her isolated community, and the point about frontier life being no picnic is again reinforced. Weisgarber has within her toolkit a knack for getting under the skin of her characters; we have a deep understanding of the visceral fears and terror her main character Deborah experiences throughout the book’s narrative, down to the minutiae of daily life and the internal monologues she has with God when matters of faith and intestinal fortitude are being tested to their limits. A slice of colonial life as this work is, it doesn’t paint anything like a rosy picture of a scenic, bucolic wilderness. The book’s general feeling is one of dread more attune to The Revenant than it is Little House on the Prairie. But it’s within the novel’s characterisations and meticulous adherence to the book’s form which makes the work more significant among other works of historic fiction. It’s a truly literary piece; reaffirming in its chronicling of the human spirit in the face of unholy obstacles, but at the same time unending in its grim determination to provide a realistic depiction of the harshness of the lives of those earlier Latter Day Saints.